Stock tickers tell you the last price a stock traded at, which is not necessarily the current price. 1. What Are the Numbers Next to the Stock Price? 2. What Does a Stock Trading at 20X Earnings Mean? Shares of stock aren't priced like items on a store shelf, where a label tells you exactly what you'll pay. Stock prices are always in motion, rising and falling with the supply of shares available for sale and the demand for those shares. At any moment, the price you see for a company's stock is simply the last traded price, or LTP. No one really "sets" stock prices. People who have shares to sell give a price they're willing to accept (called the ask price), and those who want to buy shares give a price they're willing to pay (the bid price). Stock exchanges then match buyers and sellers. The seller receives the bid price, the buyer pays the ask price and the middlemen at the exchange get the difference between the prices (the spread). Once the sale is made, the ask price of that sale becomes the "ticker" price of the stock -- the last traded price. When the next sale involving that stock occurs, the price from that sale becomes the LTP, and so on. Stock traders should always keep in mind that the LTP is essentially a historical number: It reflects a trade that has occurred in the past, even if only a fraction of a second in the past. If you choose to buy stock, you may be able to pay the last traded price, or you may not. It all depends on the prices being offered when your order goes through -- both the ask prices from sellers and the bid prices from other buyers. Still, LTP is extremely useful because it gives you a general sense of what you could buy or sell a share for, and because tracking it tells you whether a stock is rising or falling. A stock's trading volume -- the number of shares being bought and sold -- plays a major role in determining how close the current trading price will be to the LTP. The greater the volume, the less volatile the stock, meaning it's not as prone to sharp swings in price. Also, the greater the volume, the smaller the spread between bid and ask prices, so sellers are more likely to get a price very close to their original ask, and buyers are more likely to pay a price very close to their original bid. The "closing price" of a stock is the last traded price of the day on the exchange that handles that particular price. 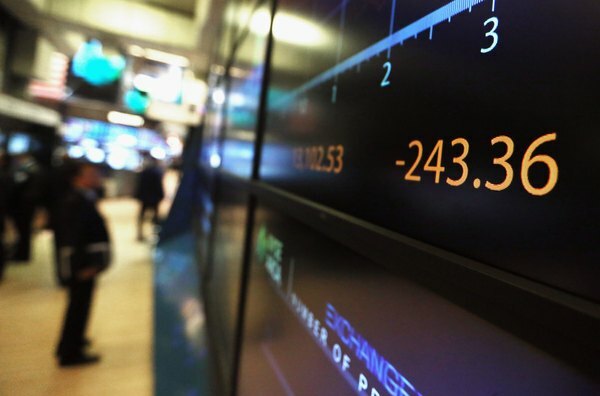 Major U.S. exchanges typically close at 4 p.m. Eastern time. Nowadays, stock trading continues after hours, and since there are fewer traders active after hours, meaning lower volume, it's even less likely that you'll pay the LTP then. The next morning, the "opening price" of the stock will be the price agreed upon in the very first trade of the day.